Taking sub-perceptual amounts of psychedelics (6-25 microgram LSD, 0.2-0.5 gram dried mushrooms, 50-75 microgram mescaline HCL), while maintaining your daily routine, playing sports, or performing any other activity, has been proven to increase mental capabilities as well as physical ones. 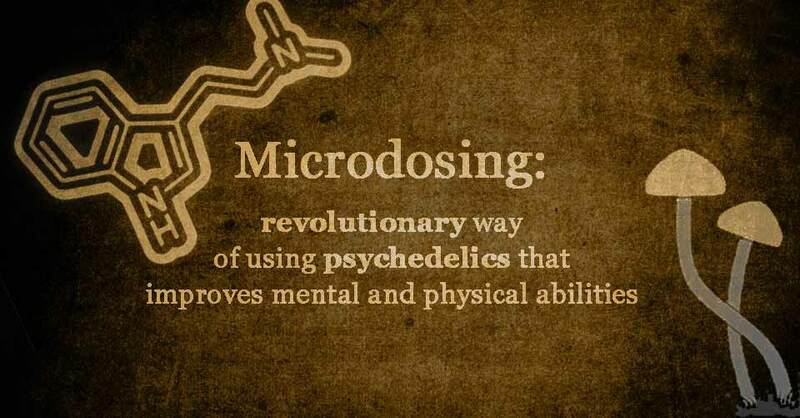 Using psychedelics in this low-dose capacity, also referred to as psycholytic doses, doesn’t have the same effect as a hearty Terence McKenna dose does; psycholytic doses do not inhibit ego-functioning in the same aspect. The Amazing Benefits of Drinking Warm Water With Lemon First Thing In The Morning….you have to try it!